This up-and-coming vacation trend is oh-so-Hudson Valley, and we are here for it. Gone are the days when you had to sacrifice luxury and comfort for an outdoorsy retreat. Tiny home glamping blends the glamor of vacationing with the fun of camping. Go on an adventure and explore local culture for the day, then return to your high-end tiny home in the woods for a relaxing evening. 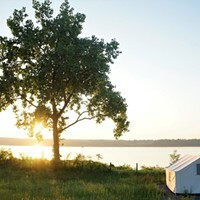 Here are some Hudson Valley glamping destinations to visit this summer. 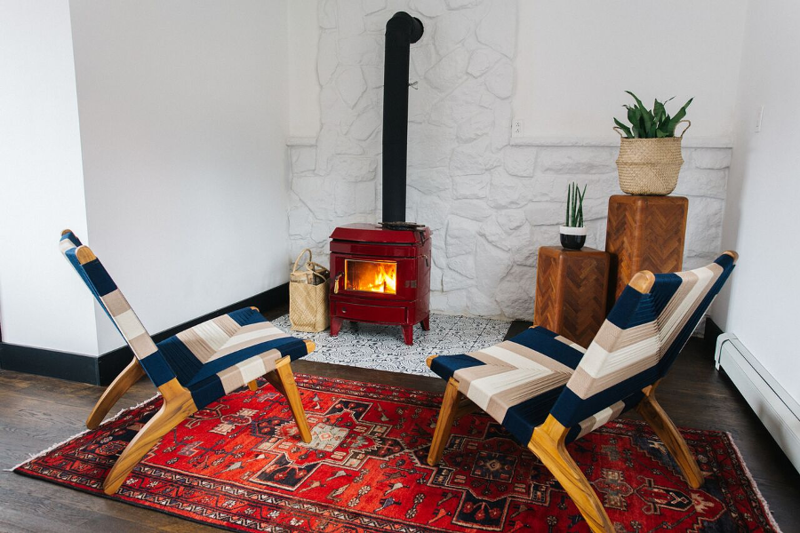 This newly renovated bunkhouse-turned-chic hotel just re-opened on June 1. It has 19 accommodations in three different forms, including three Scandinavian-style, wooden-framed Lushna cabins in the woods. The two other options are guest rooms in the Bunk House and Hill House. Bunk House, which houses reception, has 11 guest rooms, two writers’ studio suites, and the Salon. At Hill House, you can choose from double queen and King beds. All five guest rooms are on ground level and have a birds-eye view of the area, located right by Windham Mountain. Plus, Eastwind has a brand new pool, sauna, barrel hot tubs, fire pits, and cocktail bar. Talk about luxury. Book your stay at Eastwind Hotel & Bar. Like waterfalls? Then you’ll like staying on the edge of Catskill Creek and its waterfall at Tiny House Resort. There are four houses to choose from: Lux, The Flat, Mizu, and Vista. Each one has a cozy sleeping area and range of amenities, including Cable TV, kitchenettes, and full baths. The Flat and Lux even have full, gourmet kitchens. Every house has an outdoor sitting area and firepit—plus, you can borrow additional kitchen equipment, DVDs, books, toys, and games at the lending library. 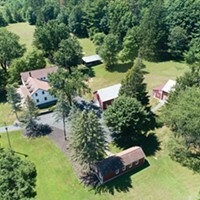 The 28-acre resort is pet-friendly and just a short drive from Hudson, Catskill, Windham, and Hunter. Book your stay at Tiny House Resort. 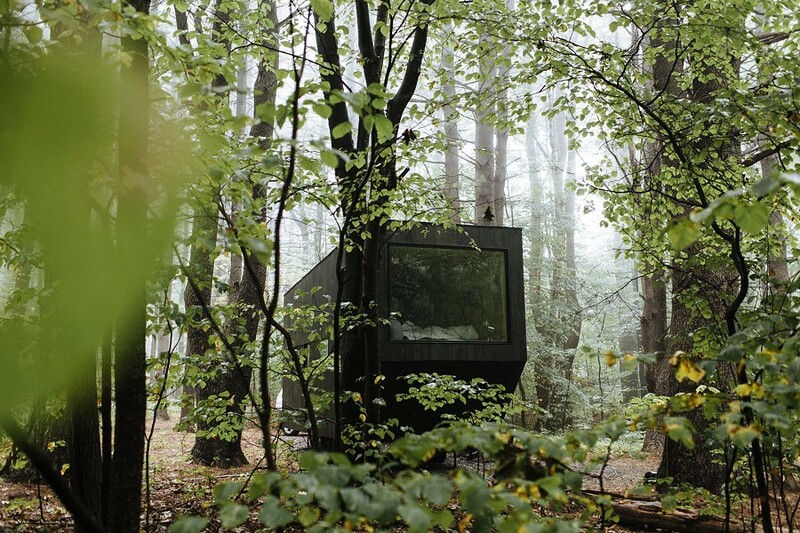 Getaway Houses’ tiny cabins are located in the heart of the Catskill Mountains. Choose from a two-person or four-person wood-sided house full of goodies so you can pack light. (A list of all included items can be found here.) Each tiny dwelling is about 140 to 200 square feet (so, really tiny!) and equipped with a fire ring and picnic table for outdoor fun. The company also runs tiny home resorts in Washington, DC and Boston. While we know that the New York campground is located in Catskill, Getaway Houses only reveals the exact location when you reserve your stay. For a small fee, you can bring your canine companion along, too. Book your stay at Getaway Houses. 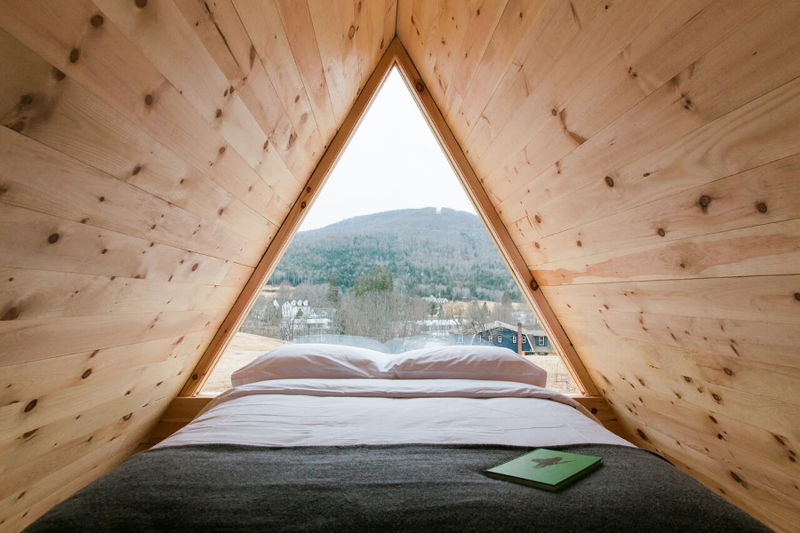 If you want more of the camping vibe, stay at one of Collective Hudson Valley’s luxury tents. Each tent has one king-size bed, a private bathroom with amenities, and a private deck with Adirondack chairs. They also don chic over-the-bed chandeliers. Located at Liberty Farms, the resort offers farm-to-table dinners at its Three Peaks Lodge. They also serve picnic lunches and complimentary breakfast. Book your retreat at Collective Hudson Valley.